Lancaster, CA - The Lancaster JetHawks, High-A California League affiliate of the Colorado Rockies, are excited to announce plans for this year's JetHawks Holiday Caravan. Each year the Holiday Caravan gets bigger and bigger as the JetHawks organization continues its efforts to support the needs of the Antelope Valley. 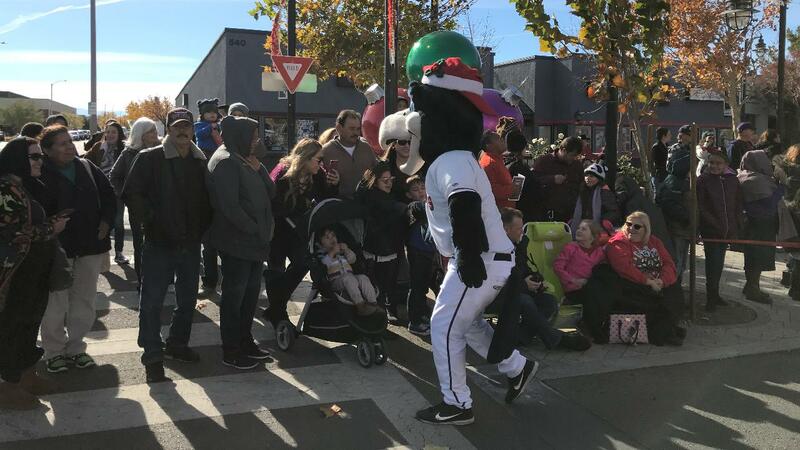 This year's Caravan kicked off Saturday as the JetHawks took to the streets for the Lancaster Holiday Parade. "Being involved in the community is something our organization focuses on year round," stated JetHawks Executive Vice-President Tom Backemeyer. "The Holiday Caravan is just a small part of how our organization tries to give back to our community each year"
The Caravan will continue throughout the Holiday Season with the JetHawks visiting several different organizations in the community. Along the way, the team will be handing out toys to kids, donated by the Flight Crew Booster Club, and delivering Holiday cheer to those who may be less fortunate. For more information on how to donate to this year's Caravan, please contact Jules Clyne with the JetHawks, at 661-726-5400.